Indeed there are! Minneapolis is indeed a great place to be a cartoonist. Thanks for stopping by, and thanks for the kind words! 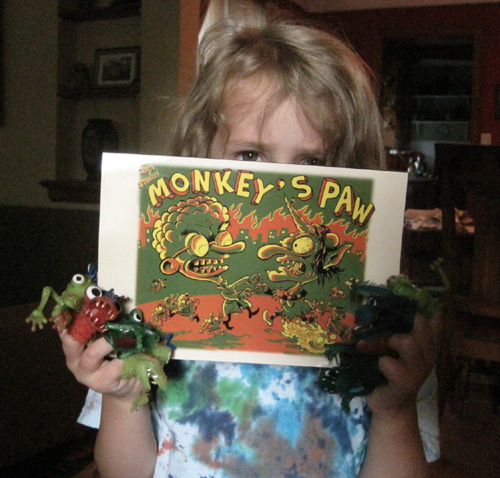 I have been enjoying Monkey’s Paw. How did you guys organize inking and such? It’s interesting to look at that big of a project from the outside & look in. Give me a holler when you have a chance…. Hi Meatbag! Glad you have been enjoying Monkey’s Paw. Ben and I work pretty organically… we both write pencil and ink the strips, and often we can’t even remember who did what. We’ve concluded Monkey’s Paw at this point, but we’re now working on two other strips using a similar working method. Neither of those strips are online at this time… we haven’t decided how to proceed with distributing them yet, but we probably are not going to serialize them online this time around.